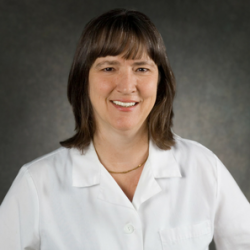 Pamela Kerns, Nurse Practitioner, received her bachelor degree in nursing from Wichita State University where she went on to complete her Masters in Nursing, specializing as a Family Nurse Practitioner. She is certified by the American Academy of Nurse Practitioners. Pamela specializes in the treatment and management of all cancer types, blood disorders, leukemias and lymphomas. Her memberships include the Oncology Nursing Society and the American Academy of Nurse Practitioners.